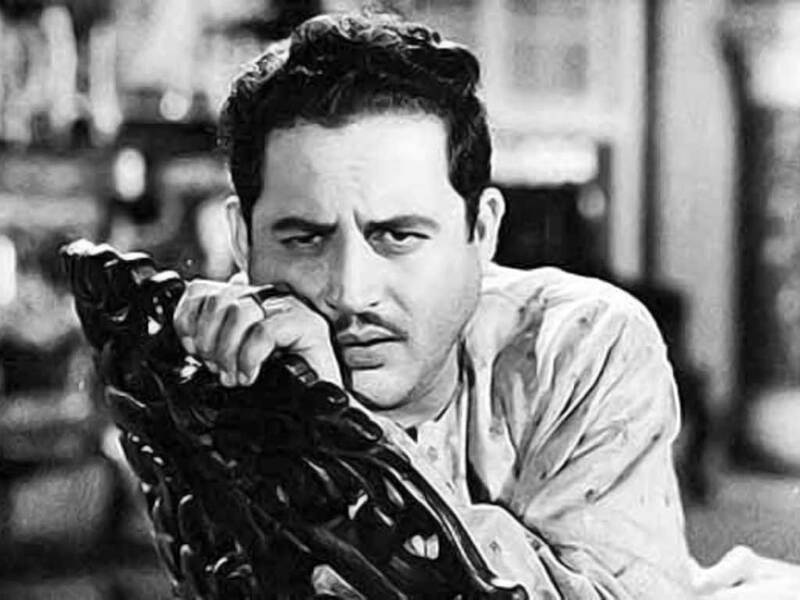 Vasanth Kumar Shivashankar Padukone (9 July 1925 – 10 October 1964), better known as Guru Dutt, was an Indian Movie Actor,Director and Producer. Dutt Married With Geeta Dutt. They had three children, Tarun, Arun, and Nina, who grew in the homes of Dutt’s brother Atma Ram and Geeta Dutt’s brother Mukul Roy after their parents died. Pyaasa and Kaagaz Ke Phool are now included among the Greatest Film Of All Time Both By "Time Magazine Top 100 Movie Of All Time In World". In 2010, he was included among CNN's "top 25 Asian actors of all time"
1. Pyaasa 2. Kagaz Ke Phool 3. Sahib Biwi Aur Gulam 4. Chaudhvin ka Chand 5. Baazi 6. Baaz 7. Jaal 8. Aar Paar 9. Mr. and Mrs. 55 10. Sailaab. He Was A Telephone Operator In His Early Career in Calcutta .But soon he got disenchanted by the job and left it. He later joined his parents in Bombay in 1944. Dutt acted in a small role as Sri Krishna in Chand in 1944. In 1945, he acted as well as assisted director Vishram Bedekar in Lakhrani, and in 1946 he worked as an assistant director and choreographed dances for P.L. Santoshi film, Hum Ek Hain. During this time, Dutt developed a flair for writing in English, and wrote short stories for The Illustrated weekly of India a local weekly English magazine. While Dutt was hired by Prabhat Film Company as a choreographer, he was pressed into service as an actor, and even as an assistant director. After Prabhat failed in 1947, Dutt moved to Bombay, where he worked with two leading directors of the time, with Amiya Chakarwati in Girls' School, and with Gyan Mukherjee in the Bombay Talkies film Sangram. Then, Dev Anand offered him a job as a director in his new company, Navketan. Dutt's first film, Navketan's Baazi, was released in 1951 . Dutt Was Join Anand For Making Films.Two Films Are CID and Jaal.